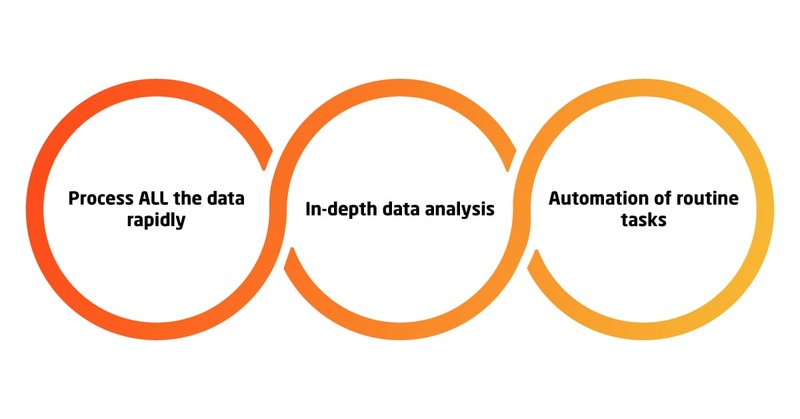 Check out what AIOps is as well as discover how it can help your IT department, for example, processing ALL of the data rapidly. AIOps is an umbrella term for using complex infrastructure management and cloud solution monitoring tools to automate the data analysis and routine DevOps operations. The main flaw of system monitoring tools built 10 or even 5 years ago is that they were not built to meet the demands of the 3 V's of Big Data. They also cannot deal with the sheer volume of the incoming data, be able to process all the variety of the data types, or stay on par with the velocity of the data input. As a rule of thumb, such cloud monitoring solutions have to split the data into chunks, separate what is seemingly important, and cut off what is seemingly unneeded, operating with focus groups and statistical samples instead of dealing with the whole integrity of data. The most important result is that some important patterns might be left unseen and totally excluded from the picture on the data visualization phase of data analysis. This renders the whole process utterly useless, as if Big Data analysis cannot produce actionable business insights, it cannot deliver the 4'th and most important V of Big Data — Value. Processing all the incoming machine-generated data on time is not humanly possible, of course. However, this is exactly the sort of tasks Artificial Intelligence (AI) algorithms like Deep Learning models excel at. The only remaining question is the following: how to put these Machine Learning (ML) tools to good work in the daily life of DevOps engineers? Process ALL the data rapidly. An ML model can be trained to process all types of data generated by your systems — and it will do so in the future. If a new type of data must be added — a model can be relatively easily adjusted and retrained, keeping the performance all-time high. This will ensure data integrity and fidelity, resulting in a comprehensive analysis and tangible results. In-depth data analysis. When all the data is analyzed, the hidden patterns emerge and actionable insights present themselves. The DevOps engineers can then distinguish the need for infrastructure adjustments in order to avoid the performance bottlenecks and can have a seat at the C-suite table with specific data-based suggestions for infrastructure optimization and operations improvement. Automation of routine tasks. When the event patterns are identified, automated triggers can be set. Thus said, when the statistics show that certain events always lead to a particular (negative) result and certain actions must be performed to rectify the issue, DevOps engineers can create the triggers and automate the responses to such events. Thus said, if a monitoring solution reports the increased CPU usage due to an increased number of connections, etc., Kubernetes can spin up the additional app instances and use the load balancing to distribute the visitor flow and reduce the load. 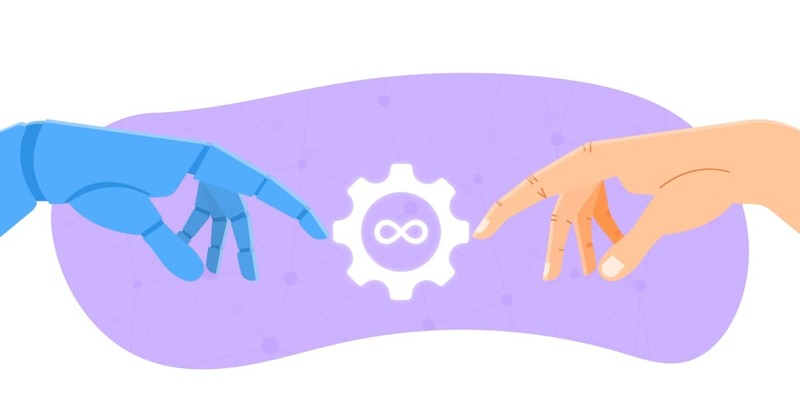 This is the simplest scenario, real-world use cases are much more complex and allow to automate literally any routine DevOps task, enabling the ML model to launch it under certain conditions and deal with the issues preemptively, not after a downtime occurs. As you can see, opting for AIOps tools and solutions can be greatly beneficial for your business. This might seem to be a marketing gimmick of AIOps solution vendors, but there are none as of yet. The late majority of businesses is struggling with their transition to DevOps culture and performing their digital transformation. At the same time, the truly innovative companies are already applying their efforts to combining AI algorithms, ML models, and DevOps systems to deliver the cutting-edge cloud monitoring and infrastructure automation solutions of tomorrow. Applying these practices results in tremendously better customer experience, shorter time to market for the products, more effective infrastructure usage and better collaboration within the team. However, even these innovators do not have an out-of-the-box solution available for their needs and have to build such systems themselves using popular DevOps tools like Splunk, Sumologic, Datadog, Prometheus+Grafana, Kubernetes and Terraform, etc. What is more important, while the idea itself is of great importance, the level of infrastructure management skills needed to implement it by far exceeds the abilities of common companies.